Last year, postbox-red boots became the season's surprise standout shoe style, and this autumn, the trend is set to continue. We know that it's only August and boot shopping might sound a little, well, sweaty, but hear us out: This is when you can get first dibs on the new season pieces, and so it's actually not such a ridiculous idea to go boot shopping. We'd forgive you for thinking that red ankle boots are a little tacky and totally impractical, but they are more versatile than you might think. The likes of Camille Charrière, María Bernad and Lucy Williams have all been wearing their scarlet, cherry or burgundy boots on loop for the past 12 months, proving they are not only a fun pick-me-up accessory but also a wise—and surprisingly reusable—investment. Currently, the Chloé lace-up leather boots in deep cherry are top of our new-season wish lists. Scroll through the gallery below to see how the super-blogger set style red ankle boots in all seasons, and then shop our edit of the best around. Style Notes: Tine Andrea's deep-red Ganni boots perfectly coordinate with the deeper reds in her floral Ganni suit. Style Notes: Camille Charrière proves the red slouchy boot is back and better than ever, seen here styling hers over dark jeans and a puffed-sleeve shirt. Style Notes: Be bold and take your colour-clash styling cue from Celine Aagaard, who chose to team her high-shine, block heeled boots with a statement fuchsia midi dress. Style Notes: Proving these are perfect for all seasons - Pandora Sykes pairs her high-shine knee-length By Malene Birger boots with a leopard print skirt and light camel jacket. Style Notes: Try teaming your new red boots with something tailored and channel Nina Sandbech's super-smart look with a button-down shirt, matching skirt and coat. Style Notes: Lucy Williams kept things casual in a pair of ankle-grazing jeans and a slim-fit knit. Style Notes: Pernille Teisbaek carefully coordinated her standout midi skirt with her punchy red ankle boots for the ultimate ensemble while attending Copenhagen Fashion Week last year. Style Notes: On the fence about Western boots? Let Maria Bernad convince you to try the trend and team yours with white denim and a tailored coat. Style Notes: If anyone's going to tempt us into red boots, it is Lisa Aiken. The super-stylish fashion buyer paired her pointed pair with a leather belted jacket and matching red knit and clutch. 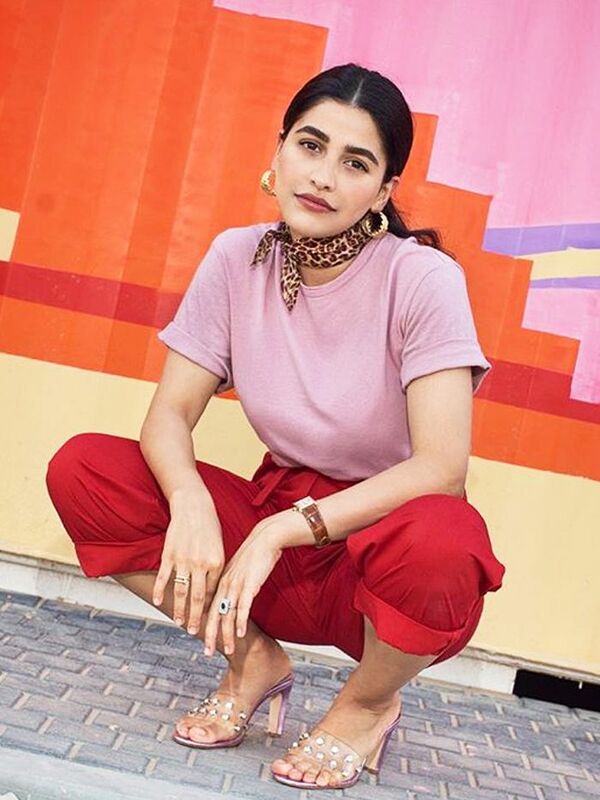 Style Notes: Maya Vik, Another fan of the red-and-pink colour combo, slipped into a chunky jumper dress to offset her pretty patent boots. Style Notes: The simplest way to wear the trend now? With a classic belted trench, tonal roll-neck and knee-high red leather boots. 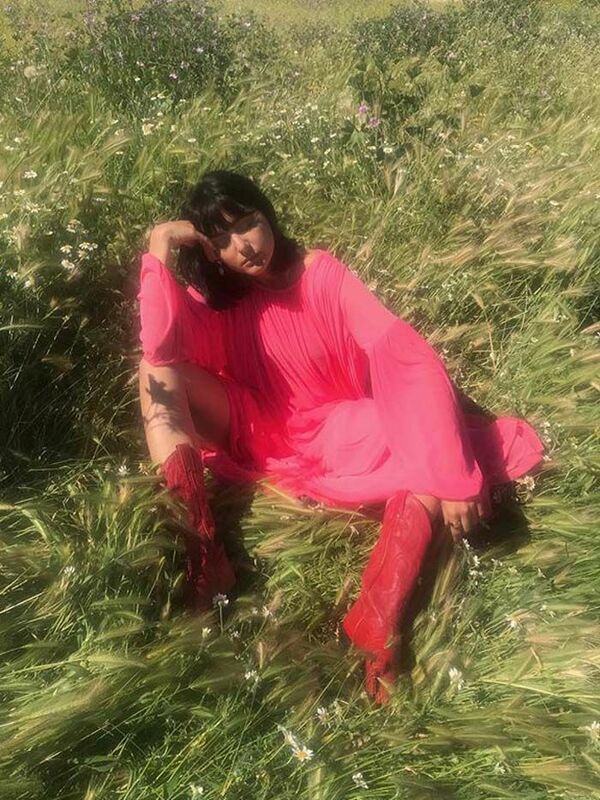 Style Notes: Red boots have been at the heart of Yasmin Sewell's fashion week wardrobe for the past year. Style Notes: Alex Stedman of The Frugality shows that these are the perfect update for your classic all-black outfits. Next up, see the A/W 18 trends that we are most excited about.